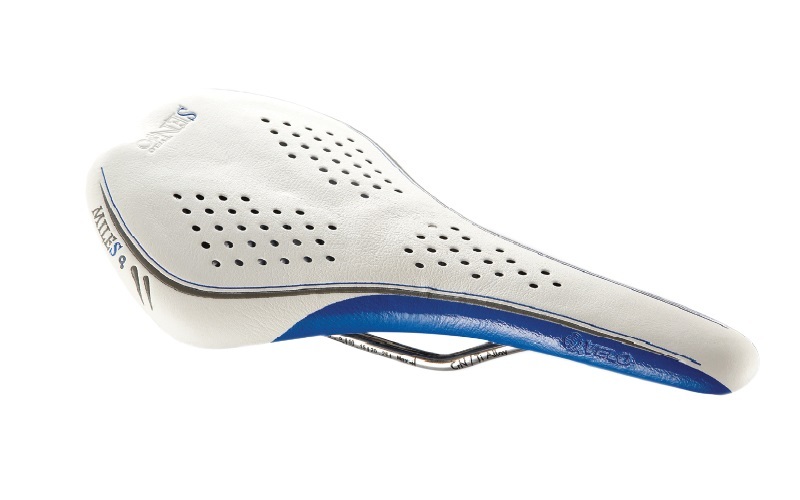 The Velo Senso range is a midrange saddle, ideal for riders on a limited budget. The Miles VL-1261 range of saddles has been designed with both comfort and durability in mind. Having a unique honeycomb gel base and crossbow suspension makes its comfortability unquestionable. Fitted with CrN/ Ti rails contribute to it being both strong and extremely durable. This model has a slightly different design pattern than the Velo Senso Miles VL-1261 Road Race Male model. And is available in two great color variation either White/Orange or White/Blue.